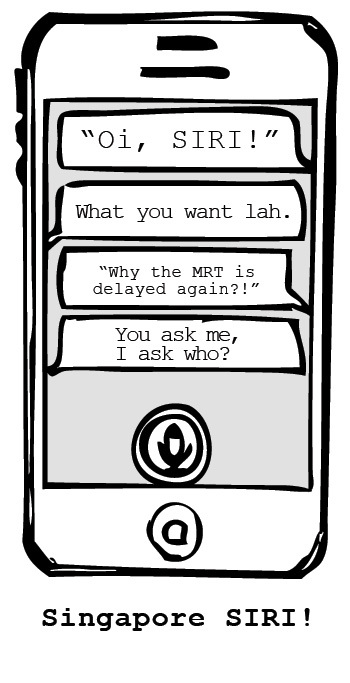 Right up your alley: Singapore SIRI! 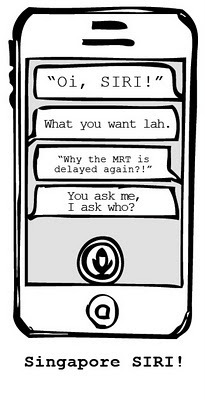 SIRI, with a Singlish Pack will be such a comforting digital friend to speak to, or argue with :P .
Of course, Mr Brown has already came up with S.I.M.I way before I drew the above.